Set during the thrilling social change of the mid-1950s, The Bletchley Circle: San Francisco captures the lives of four remarkable women gifted with extraordinary intelligence, breathtaking capacity for pattern recognition, and a genius for decryption. Years after secretly serving during WWII as code-breakers tasked with penetrating the Axis Powers' secret communications, they turn their skills to solving murders overlooked by police. In the process they are plunged into fascinating corners of the city, forge powerful relationships, and rediscover their own powers and potential. Our women achieve justice not only for the victims, but also for themselves as they carve out new lives in the wider world. The Bletchley Circle: San Francisco Season 1 was released on 270d ago in the UK. 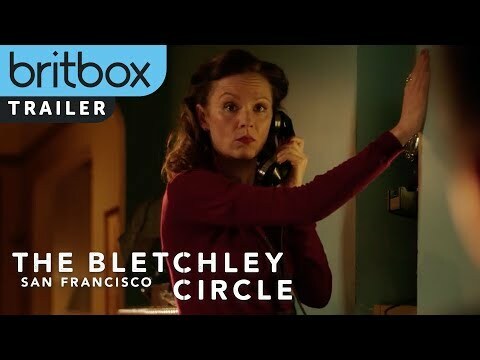 Notify me when The Bletchley Circle: San Francisco Season 1 is available.